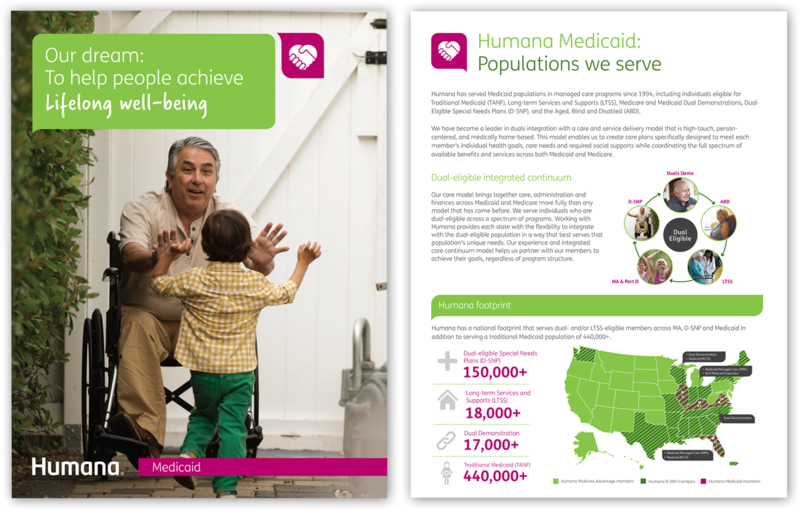 Humana has selected Weber to help market and position healthcare and wellness plans for its Medicaid, Group Medicare and Commercial lines of business. 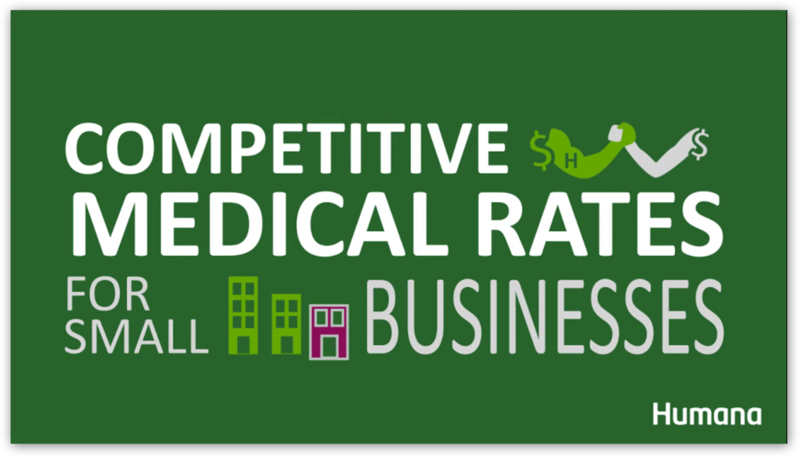 We help tailor sales strategies, messaging, storytelling and visuals for businesses, individuals and communities to help their clients navigate the complex healthcare landscape and choose the right, personalized plan to achieve health and wellness goals. Humana strives to create lifetime partners on the road to reaching good health – and they’ve found one in us. 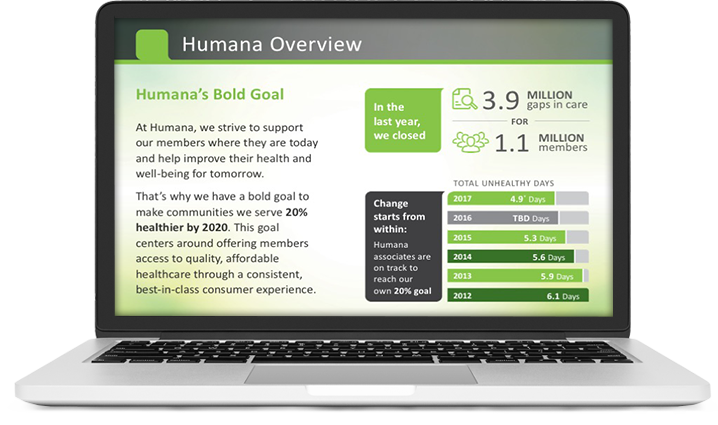 Weber has helped Humana’s Group segment take a fresh look at what businesses, associations and their people need to achieve their best health. 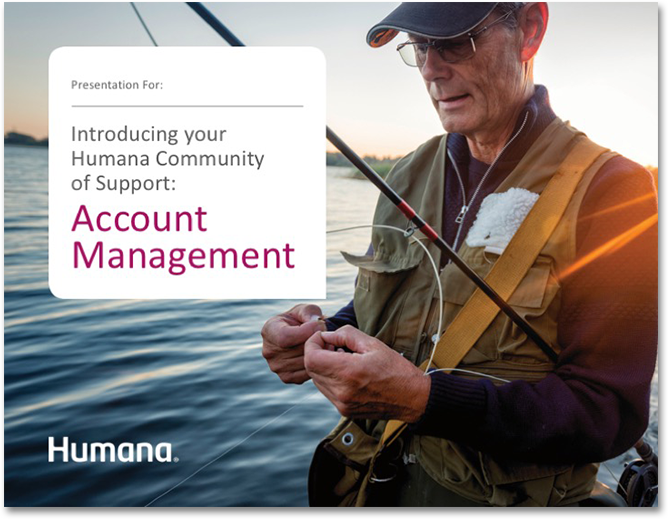 Whether it’s helping employers calculate the value of a health and wellness program, or assisting their employees in choosing the right plan tailored for their needs, we’ve helped Humana’s clients find the perfect plan to achieve their goals. Weber has been a key partner in helping Humana respond to and win six of its last eight Medicaid state contracts, representing more than $16 billion in additional revenue.  We combine our strengths in process, program management, visuals and person-centered storytelling to become a critical partner at the business development table, from pre-release strategy and initial shred through editing, production, finalist and operational readiness reviews. 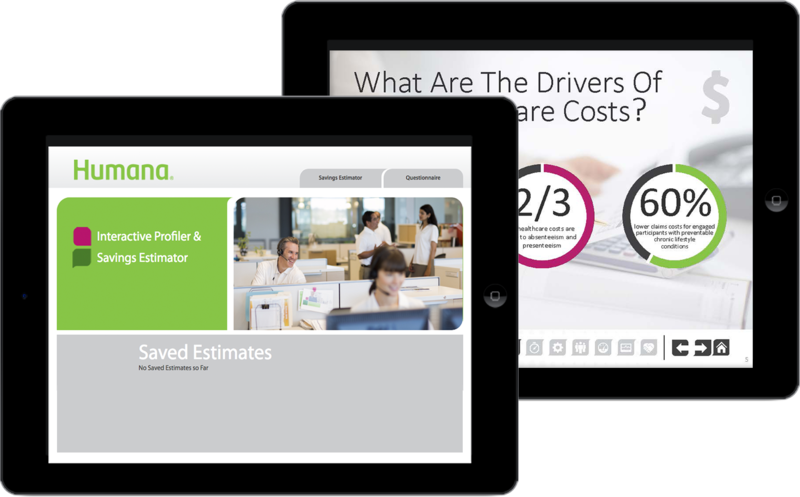 The value of a good wellness program extends far beyond “feel good.” We helped Humana build an interactive wellness sales tool so the frontlines could engage in more consultative, insights-based dialogue with employers to help understand their specific goals and concerns and tailor the right program. Weber’s tool personalizes a specific roadmap based on employers’ responses and even calculates the potential value and hard returns if they choose to implement. Our interactive wellness solution is a critical tool in their arsenal in helping employers understand and navigate complex, ever-changing healthcare topics.